OSLO, Norway and STUART, Fla., March 15, 2019 /PRNewswire/ — Neptune Software, announced today its noble cause participation in the development of Bloodmates donor matching App utilizing the Neptune Digital Experience Platform. Neptune Software, when not solving the real-world challenges for enterprise customers, is dedicated to making an impact on improving the lives of the global community. 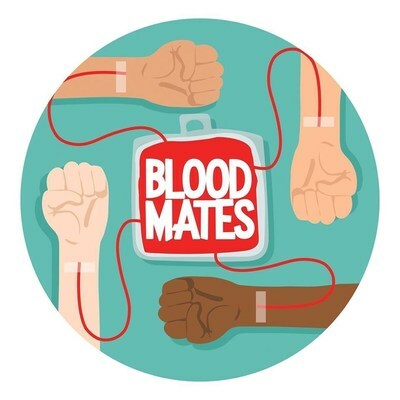 Bloodmates bridges the gap between patients and blood donors to combat the scarcity of blood donations in the West Bengal and Gujarat regions of India. They volunteer around the year, operating only by a Facebook group and social media outreach. Since starting in 2016, Bloodmates have been able to tap 3,500 regular donors and 150 donors in West Bengal and Gujarat. Today, Bloodmates has more than 30 volunteers who work incessantly to improve the lives of patients who require blood in their most desperate hours. So where does Neptune Software come into how Bloodmates operates within the technological sphere? In the past, donor information was free form entry, and searching through data was difficult with spelling variations. This made the search for a certain blood types within a certain radius extremely cumbersome. Bloodmates is in the process of venturing into rural areas where internet access is sometimes non-existent and the awareness of blood types is low, and blood donations are rare. To encourage donations, they are planning awareness campaigns, and are issuing blood type cards to residents. While Neptune can’t eradicate all barriers to success with just a mobile app, they were confident that they could improve the process significantly. Consequently, Neptune Software decided to build an app for the volunteers of Bloodmates. The app makes data collection easier via mobile phones and works offline. Volunteers would be able to search and add donors from their phones without relying on a stable internet connection. Subsequently, more accurate data and faster search leads to quick information retrieval, which is critical when a donor is required and the clock is ticking. Across countries, continents, nationalities and other cultural borders, Neptune Software and Bloodmates have joined hands in harmony to make donating blood and saving lives a lot easier. Moreover, this is just the beginning of a long journey ahead with more to come.